Fuji Labs 2nd Gen Sonique - Eco-Line SQ306 High-Grade Pure Beryl [AUFJ-PSQWBS306BK-E] - $39.99 : Dealpops.com, Good deals are keep popping up! The pure Beryllium-4 drivers within the earphones introduce a revolutionary concept, allowing for ultra-fast response times - as never seen before! Harnessing the strength and speed advantages of Beryllium, SQ306 earphones reproduce dynamic sounds with clear, punchy bass, full treble, and clear vocals. The Fuji Labs SQ306 drivers utilize the lightest but hardest of all metallic elements to create the very first Pure Beryllium driver earphone. Our in-house design team revolutionized the extraction process to obtain the purest stable form of Beryllium. Following acquisition, we implemented a vacuum-coating method to apply the Beryllium, resulting in a thickness of only 2 micrometers. The Beryllium driver fully translates the light, sturdy, and flexible properties of the metal to make for a wider and smoother frequency response, so high treble from 10 KHz to 20 KHz are crisp. In addition, the Beryllium driver enhances the bass region so that it is clean, tight, and non-interfering to the higher frequency regions. 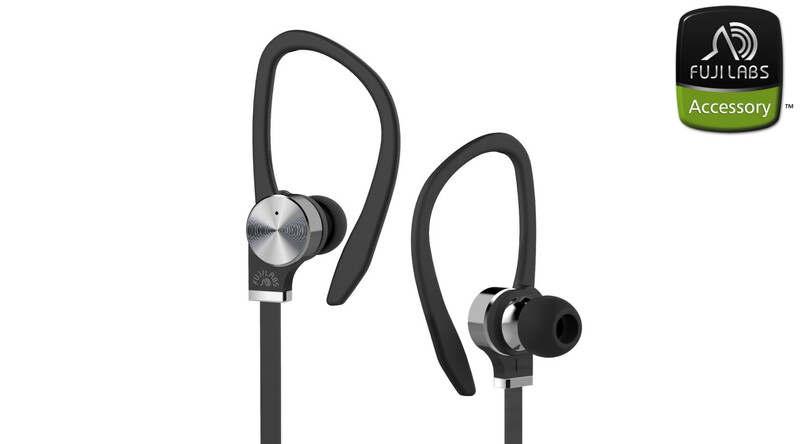 The Fuji Labs Sonique earphones feature high-grade silicone ear-tips in many configurations, including our premium drill model and multiple sizes. Interchange the silicone tips to find your best fit. High-grade silicone enhances noise-isolation, making for an immersive listening experience.